A UKIP AM who made a racial slur about an MP would have been suspended from the Conservative Party, says the Welsh Tory leader. Andrew RT Davies has joined other politicians condemning the comments by north Wales AM Michelle Brown about Labour MP Chuka Umunna. UKIP's chairman Paul Oakden has said the AM's actions will be investigated. Ms Brown said she accepted her language was "inappropriate" and "apologised to anyone" offended. The former legal adviser from Mostyn in Flintshire called the Streatham MP a "coconut" during a conversation in May 2016 with her then senior adviser, Nigel Williams. She was also recorded using an abusive remark about Tristram Hunt, who was then Labour MP for Stoke-on-Trent Central. Mr Williams, who was her senior adviser for 12 months, was sacked by Ms Brown in May. Ms Brown said in a statement: "The point I was making is that because of his considerable wealth and privilege, Chuka Umunna cannot possibly understand the difficulties and issues that the average black person faces in this country any more than I can, and I stand by that assertion. "I do however accept that the language I used in the private conversation was inappropriate and I apologise to anyone that has been offended by it. "As far as the language I used about Mr Hunt is concerned, it was a private conversation and I was using language that friends and colleagues often do when chatting to each other." Speaking on BBC Radio Wales' Sunday Supplement programme, the Welsh Tory leader said: "The language is completely unacceptable and it's regrettable in the second decade of the 21st Century that that type of language is held by people who hold public appointment. "From my view, if that person was in the Conservative Party - they would be suspended. "As I said - it is completely unacceptable language." Mr Davies joins both Labour and Plaid Cymru in the assembly calling for action over the comments. The Labour Group has condemned the "absolutely outrageous language" and said "anything less than immediate suspension would be a clear endorsement of Michelle Brown's racist slur". Its chairman, Delyn AM Hannah Blythyn, has written to the National Assembly's Standards Commissioner, calling for an immediate investigation. She told Sir Roderick Evans: "I believe that these comments constitute a clear breach of the Code of Conduct for Assembly Members. "I would ask that you look into this matter at the earliest opportunity." Plaid leader Leanne Wood said: "This racism reflects poorly on our parliament - the National Assembly for Wales - and that's why her party should take action on this." 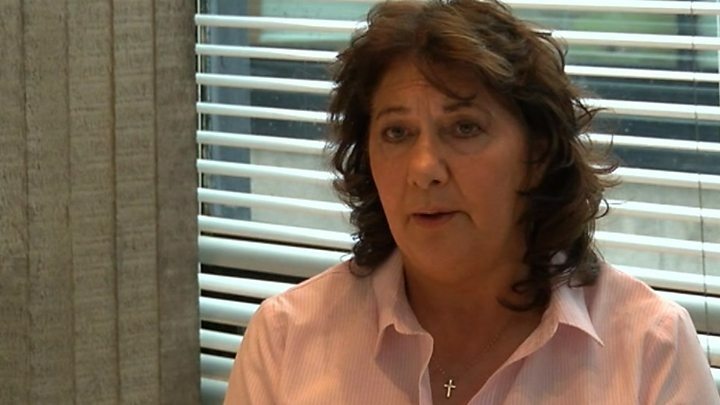 A second UKIP AM has also moved to distance herself from her colleague's comments. 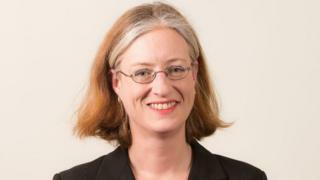 Caroline Jones told BBC Wales' political editor Nick Servini on Sunday Supplement: "Inappropriate language is not condoned by myself or anyone else in the party." However, she refused to be drawn on what action she thought the party might take, and said that was a matter for the investigation ordered by its chairman. On Saturday, UKIP AM David Rowlands said he "thought we'd put that racist language behind us as a party". "I don't know if there's been any provocation but I'm very disappointed that anyone in my party should be using that language," said the South Wales East AM. This is not the first controversy Ms Brown has faced - in February, she was forced to deny claims she had smoked "recreational drugs" in a Cardiff Bay hotel room. Her spokesman said the smell was caused by the AM smoking a strong tobacco product.